Shoulder pain is one of the most common musckuloskeletal problems in the human body after Back pain. Millions of pounds are lost in the UK each year to sickness and time off work due to shoulder pain. Our Bristol Physiotherapy Clinic is lucky enough to have its own dedicated shoulder specialist who is able to assess diagnose and treat your problem. 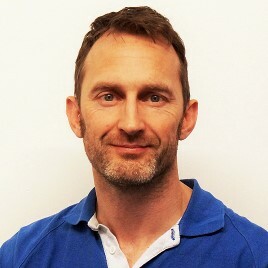 Tony Gill is not only a shoulder specialist but also a qualified diagnostic ultrasonographer and injection therapist. This means as well as this specialist service our Bristol Physio Clinic has onsite diagnostic ultrasound, guided ultrasound injections and excellent links to all the top shoulder specialist surgeons in Bristol to fast-track your care if appropriate. Click HERE for more information on each Injury. If your shoulder is giving you pain or dysfunction then use the Contact Form or call us on 0117 923 7506 to book a session.